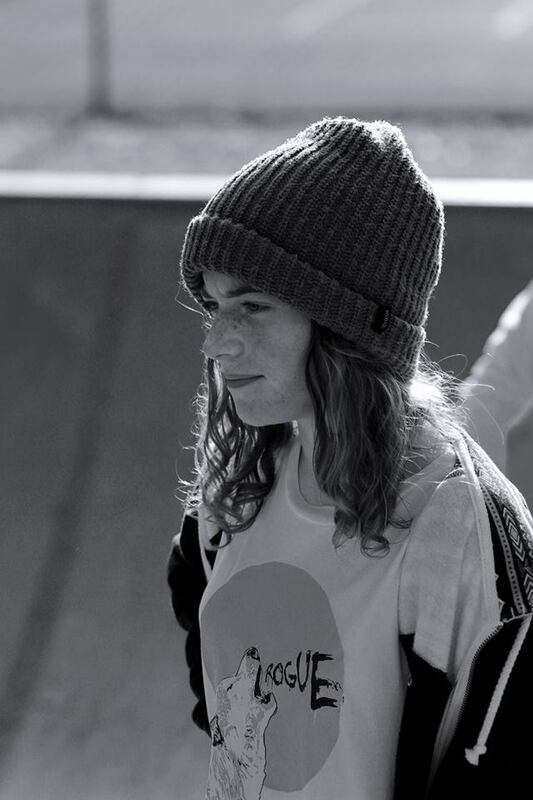 Leticia Bufoni, Luan Oliveira, Shane O’Niell and Curren Caples. 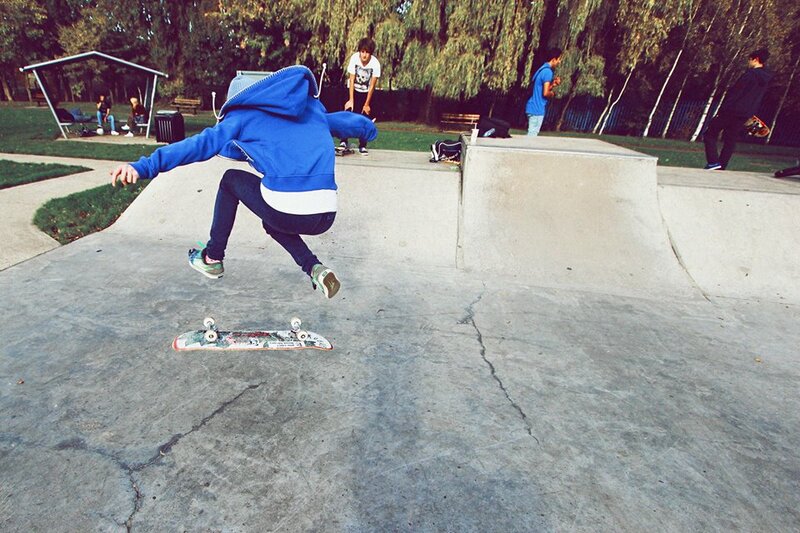 I started skateboarding about 7-8 years ago, because I saw my brothers skateboarding. I was really inspired and I remember buying my first skateboard, I then just kept skateboarding and from then on I have never really stopped. When I got a bit older I started entering some of the local skate competitions, and really enjoyed competing and for some of them I was very lucky to win. It was at this point I started getting recognized, and I began doing more online interviews, photo shoots and so on. I was also very lucky to start gaining sponsors, the first of which was back in 2012. This then motivated me to keep progressing. I have always tried to attend as many skateboarding events as possible, and back in 2012 I did a tour with Rogue skateboards around the skate parks of London which was amazing. 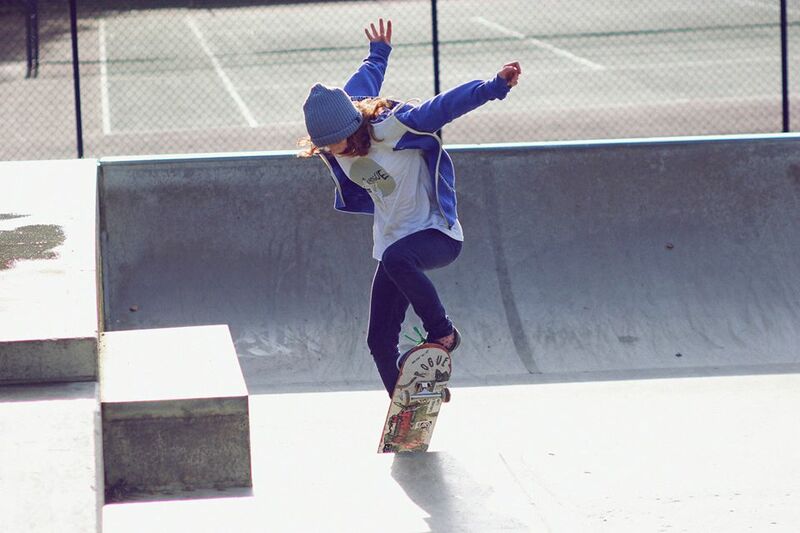 I then started to attend more events, so going to WESC skate camp a couple of years ago and more of the female skateboarding competitions, this has definitely helped me progress. It was then in 2013 when I managed to fracture and dislocate my elbow, this put me out for about a year, and since then I have been pushing myself to improve and ignore all of the limitations associated with injury. The fact that after injury I was more passionate than ever to get back on my skateboard proved to me that skateboarding was definitely a part of me! I owe a big thank you to one of my friends Danielle who really introduced me to the girl skate scene here in the UK, without her I wouldn’t have attended half of the events I have and I would not be where I am today. 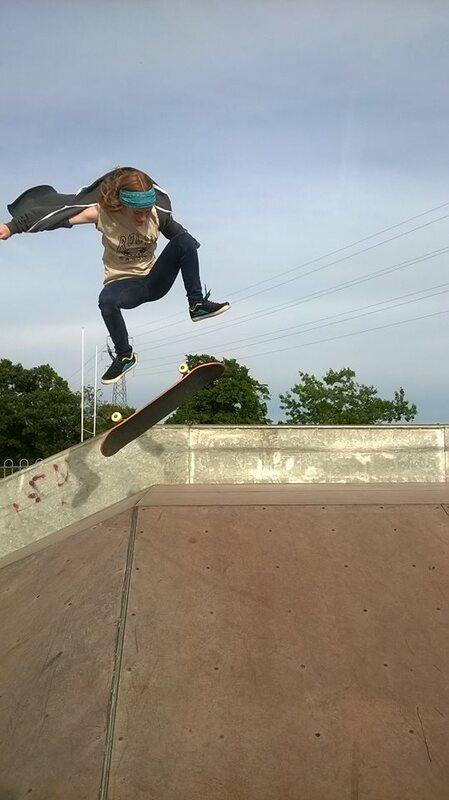 I am hoping to inspire more people to start skateboarding, I think it is amazing to see the girl skate scene expand as much as it has and I would love to inspire more girls to get involved. I also want to travel a lot more to enter some bigger competitions, and to see all of the different skate spots around the world that I have always wanted to go to. Lastly, I want to just keep progressing and getting better. I think learning new things is fundamental to growth and I want to just keep moving forward and follow my passion. 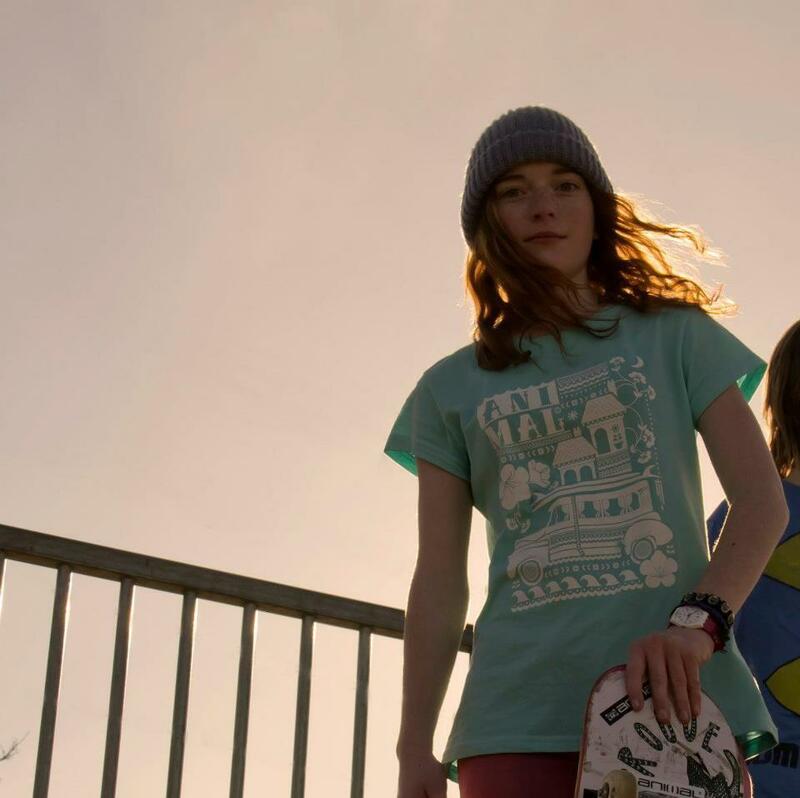 I think my greatest achievement was probably winning the UK girl skate jam back in 2012, there were a lot of talented female skateboarders competing which was great to see. Also probably gaining all of the sponsorships I have done, I never started skateboarding to get sponsors, but to work with some of the companies I have done, has been an amazing opportunity. With skateboarding you always have good days and bad days which can be very annoying, but I think because of this you know that you just have to keep moving on and keep trying. The injuries you can get from skateboarding are also a problem, you can be out for months if you bail badly and that can be a massive set back. 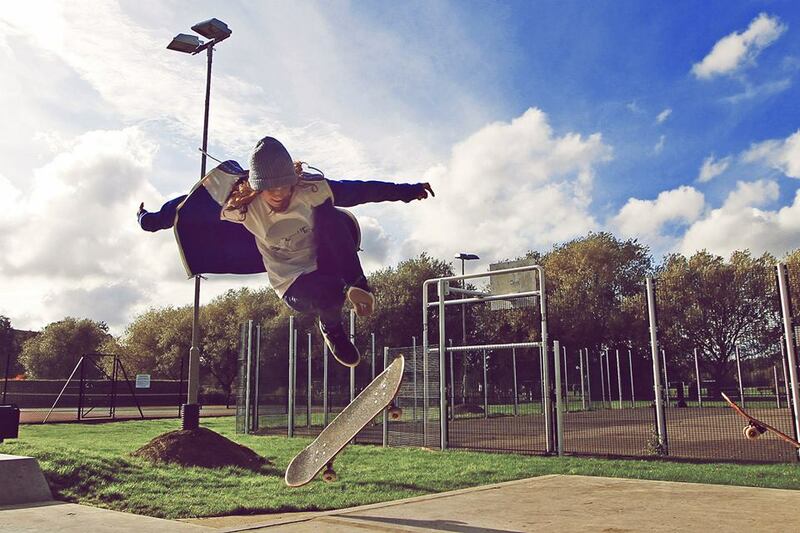 When I learn a new trick that I have been working at for ages is always a good feeling, and just generally skateboarding with my friends is always good fun. The skate park, you can learn pretty much anything in a skate park if it’s a good one and it’s an environment I like learning in. I just always tell myself to always be determined and stay positive. I always think you will regret not trying something than trying and failing. Usually when competing, I have a run planned out, I suppose I get quite nervous if I bail one of my tricks in my run which could then ruin the whole run. I wouldn’t go so far to say I have fans, but I know my family and friends always support me, which is always encouraging. A lot of people tell me to believe in myself which has probably been the best advice I have received. Once you believe in yourself you can achieve anything you want to. If you don’t believe in yourself, how can you expect others to believe in you? I want to be doing more skateboarding, learning lots of new tricks, attending more competitions, travelling and meeting new people. Specifically, next year I would really like to go to some of the skateboarding competitions abroad, like the one in Barcelona recently, and back to the streets in Poland. It’s never too late to start skateboarding, I would recommend going down to your local skate park, and see if you can get any of your friends to come along too. Just get used to the basics, so pushing around and getting a feel for the board. Then when you’re comfortable start learning new tricks and just keep going!